Welcome to the Commando Gunner Regroup Forum, We hope you enjoy this forum and if you are not registered please do so as there is more to see once registered. Hopefully you can add to the posts in this forum and come back and visit this site again soon. If you have read the information on the web site ref: the CGA then please use this section for your thoughts and ideas. This is an opportunity for you to get involved so please do make the most of this forum. Commando Veterans Association for those who have earned the right to wear the coveted Green Beret and who have served with Commando Forces at some point throughout the decades from the early 1940's through to the present day. Have you set up your own business and want a bit of FREE advertising, then this is the place for you. Post details of your business, webs sites, contact details etc. This is your Forum so please add to it (A lot of you look but not many post). Even if it is a only a tiny bit of information - anything is better than nothing (within reason). A forum for members to offer advice or even job opportunites. MOTN has been around since 1992. Use this post for info or any old pics or videos of previous Music of the Nights. The 50th Anniversary of the regiment 21/07/2012. use this forum for any comments and pics etc..
A Forum for notification of fallen Comrades, Funerals etc... R.I.P. To remember those we lost. Say a few words or a dit or two so their names will live on. Or put a Photo of them on and let everybody add their own stories. 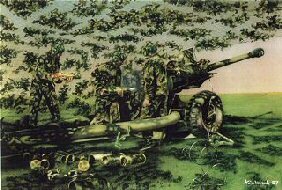 Use this forum for the History of Commando Gunners. For you old uns to educate us not so old uns! Including disbanded - 95 Cdo Light Regt RA and 145 (Maiwand) Cdo Bty RA, 289 Cdo Bty RA(V) etc..